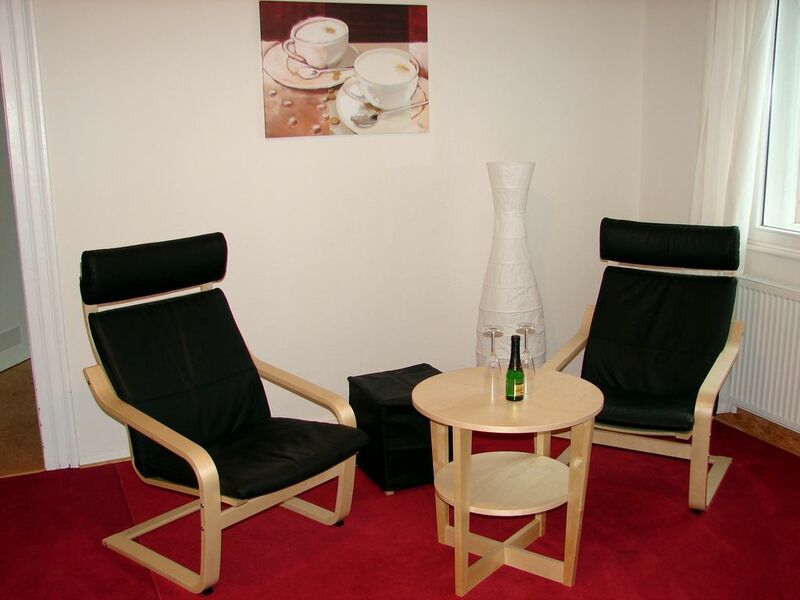 The modern furnished apartment is about 50 square meters and is located on the second floor of apartment building B34 in the center of Erlangen. The apartment is divided into a kitchen, two bedrooms each with a double bed and a bathroom. The kitchen is equipped with everything that belongs in a kitchen: hotplate, oven, microwave, cooking and eating utensils. Bed linen and towels are included in the rental price. Sehr komplette Einrichtung. Alles sehr sauber, zweckmäßig und gemütlich. Ein Vorteil ist die Zentrumsnähe.